During the nineteenth century, exciting new archaeological discoveries in Egypt and Mesopotamia generated great enthusiasm in Europe for images and written accounts of these lands. Enterprising studio photographers such as Félix and Lydie Bonfils followed the tradition of Orientalist painting, creating staged and often highly exaggerated depictions of costume and lifestyle. Other photographers such as K.A.C. Creswell and Anthony Kersting documented the Middle East’s architecture and heritage in a way that was both thorough and respectful. 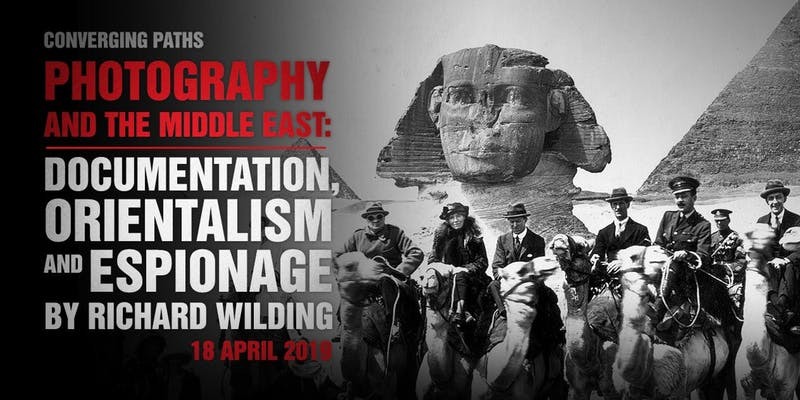 Feted travellers such as Gertrude Bell, T.E Lawrence and Max von Oppenheim combined photographic documentation with a passion for archaeological discovery and covert diplomatic service to their respective countries.